It's certainly excellent to watch YouTube videos on your iPhone iPad Android devices on the go. But what if there is no Wi-Fi connection or your offline YouTube video is incompatible on your portable devices? Just try to convert YouTube videos to MP4 for better compatibility. YouTube is a place to discover, watch, upload and share videos. It provides a large number of videos about various fields. YouTube videos can be viewed on computers or portable devices once connected to internet. But if there is no internet connection, like on a bus or a train, how do you enjoy them on your beloved devices? As we know, not all YouTube video formats are compatible with portable devices directly, such as FLV. In a bit to watch FLV YouTube videos on handheld devices, you need to convert them to your mobile supported formats firstly, among which MP4 is the widely used one that is compatible with iPhone iPad Android. 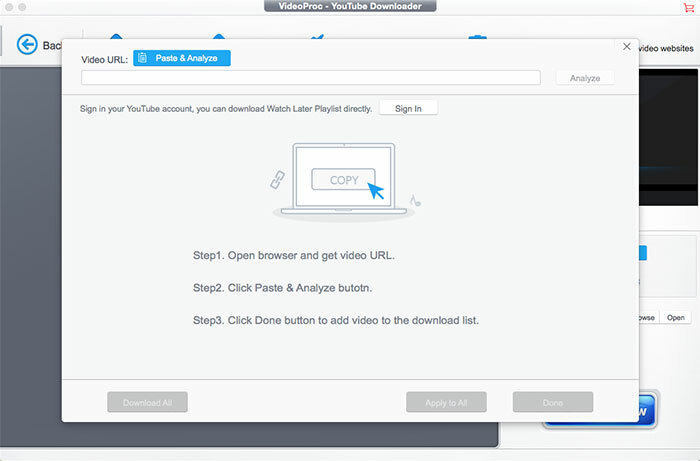 Here talks about how to convert YouTube to MP4 on Mac/Windows easily. Before you dive into the conversion work, you need a YouTube to MP4 converter. The 100% clean MacX Video Converter Pro is specialized in converting YouTube videos to MP4 format on macOS and Windows. With 370+ video audio codec supported, you can hassle-free change YouTube to MP4, but also YouTube to MP3, MOV, HEVC, MKV, AVI, Quicktime, iMovie, iTunes, iPhone Xs/X/8/7/7 Plus, iPad Pro/mini 4, Sony Xperia, Samsung Galaxy, Huawei etc. with 420+ output profiles. Besides, it also enables you to free download 4K/1080p videos from YouTube, Facebook, Dailymotion, Metacafe, Myspace etc. 1000+ sites and edit YouTube (cut, crop, merge, split, special effects). Step 1: Download and Launch MacX Video Converter Pro. Firstly, free download this YouTube to MP4 converter on Mac or Windows version on PCs. Then launch it on your Macbook, Macbook Pro/Air, iMac, or Windows PCs. Step 2: Free download YouTube videos. 1. Open your browser and find your desired YouTube video, then copy its URL. 2. Go back to this YouTube video processing tool, click "YouTube" icon then "Add Link" and "paste & analyze" to detect YouTube video. As there pops up a new window related to video details, choose one and tap "OK" button. Then press "Download Now" button to save videos from YouTube. P.s. 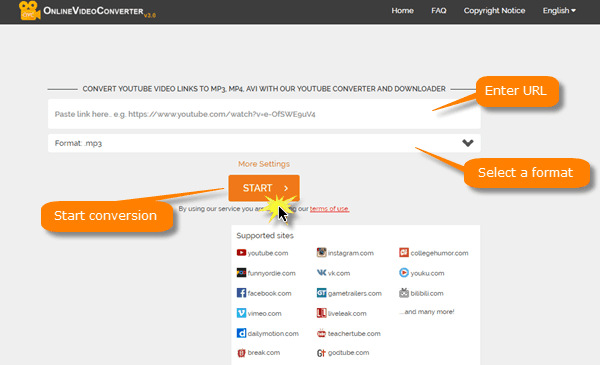 If you have downloaded your YouTube videos in other ways, you can skip this step. Step 3: Convert YouTube videos to MP4. 1. Load the downloaded YouTube video by clicking "+" button. 2. Choose "MP4" as the output format. If you select to decode YouTube to H.264 codec MP4, you can enable hardware acceleration to improve conversion speed at 5 times faster by checking the box of Intel. 3. Start converting YouTube to MP4 video as you press "RUN" button. The YouTube to MP4 conversion will be finished in short time, maybe after you go out for a walk or take a nap. There is the last step - transferring MP4 YouTube videos from Mac to mobile, to enjoy YouTube videos on your beloved iPhone iPad devices. MacX MediaTrans behaves as an expert to convert and transfer videos from Mac to iPhone, not only including YouTube MP4 videos, but also iPhone iPad incompatible formatted videos like MKV, WMV, M2TS, FLV, AVI etc. That is to say, even if you haven't transcoded YouTube videos to MP4 on Mac in advance, you still can directly change YouTube video to iPhone iPad MP4 with MacX MediaTrans. Here easy steps to go! Step 1: Free Download & Launch MacX MediaTrans. Free download the 2-in-1 YouTube to MP4 converter and transfer, launch it on your Mac computer. BTW, it supports Mac OS X 10.7 or above (macOS Mojave incl. ), iOS 7 or higher (iOS 12 incl. ), iTunes 12.3 or higher. Step 2: Convert & Transfer YouTube Videos to iPhone iPad in MP4. Connect iPhone to Mac with a USB cable > Click "Video" icon > Click "Add Video" button to import your desired MP4 YouTube videos > Press "Sync" button to finally move YouTube MP4 to iPhone. The YouTube to MP4 iPhone iPad conversion will be automatically achieved as you pressed down "Sync" button. Online YouTube video conversion websites are also widely chosen. And the Online Video Converter definitely wins the top priority for many users since it enables you to download and decode online videos to MP4, MOV, MPG, M4V, AVI, FLV, WMV free of cost from various video sharing sites, including YouTube. This website is fully compatible with mobile devices as well, so you can convert YouTube to MP4 directly on mobile as well without using Mac. Better yet, there is no need to install any software on your computer while using this site, it can directly give you download link of YouTube videos in your browser itself. Step 1. Enter the URL or link of the video that you wish to convert. Step 2. Select a format of your choice. Step 3. Click the "Start" button to begin the conversion process. Step 4. Upon successful completion of the conversion, you will receive a download link for the output file. The way how to convert YouTube video to MP4 is not confined to what we mentioned above. All of them do decode and encode YouTube to MP4 without any hassle. But there are considerable differences of each way. In view of the diverse needs of users, they may choose different way to do so. 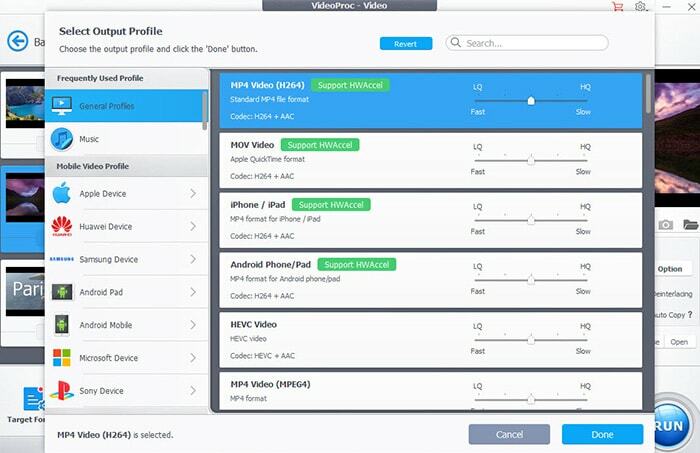 Yet MacX Video Converter Pro is more comprehensive without doubt, available as a YouTube downloader for Mac and a video transcoder to change videos to 180+ formats, download videos from more than 1000 sites, edit videos, record videos or screens with fastest speed and original quality ensured. Of course, different decision can be made. Following comparison table to find the right converter for you. An All-in-1 Program to Download & Convert YouTube Videos to MP4 for Playback on Mac/Windows, iPhone iPad Android etc.